(L-R): Council Member (Engineer), Mr. Aly Mar Ndiaye, ECOWAS Commissioner for Energy and Mines, Dr. Morlaye Bangoura, ECOWAS Director of Hunan Resources (Operations), Mrs. Amelie Kone, ERERA Chairman, Professor Honoré Bogler and Council Member (Economist), Dr. Haliru Dikko at the reception on Friday, 5th May 2017 in Accra. The Chairman of ERERA, Professor Honoré Bogler, has expressed renewed confidence that the launch of the first phase of the ECOWAS electricity market will go on as rescheduled, especially with the appointment of two Regulatory Council Members to join in the decision-making process of the institution. The launch of the regional power market has been postponed twice partly because some documents critical to the operations of the market were yet to be approved by the ERERA Regulatory Council, following the vacancy created after the end of tenure of the last Regulatory Council in April 2016. With the assumption of duty of the two Council Members on 4th May 2017, Professor Bogler was hopeful of “a good and united Regulatory Council, which is dedicated to achieving the objectives of ERERA, and thus working towards the realization of the ECOWAS Regional Electricity Market and the economic and social well-being of the people of West Africa”. Professor Bogler was speaking on Thursday, 4th May 2017 at the welcome reception of the two ERERA Regulatory Council Members who assumed duty in Accra. They are Dr. Haliru Dikko from the Nigerian Electricity Regulatory Commission (NERC) and Mr. Aly Mar Ndiaye, from the United States Agency for International Development (USAID), Senegal and formerly of the Electricity Regulatory Commission (CRSE) of Senegal. The Chairman also enumerated the challenges encountered when he assumed office in April last year. This included absence of other Members of the Council, a permanent headquarters for ERERA, staff shortage and inadequate financing of the institution. He lauded ERERA staff who he described as very dedicated, hardworking and exhibiting great team spirit in the discharge of their responsibilities, in spite of the challenges. Professor Bogler expressed gratitude to the managing authorities of the ECOWAS Commission, especially the President of the Commission, Mr. Marcel Alain de Souza, for their continuous support to ERERA. He also expressed the hope of a rapid resolution of the challenges, especially with the arrival of the two Council Members whose delayed appointments, he said, greatly affected the outcome of ERERA’s work. Also at the reception were the ECOWAS Commissioner for Energy and Mines, Dr. Morlaye Bangoura, the Director of Human Resources (Operations), Mrs. Amelie Kone who represented the ECOWAS Commissioner for Human Resources, Mr. Joao Silva Monteiro, as well as ERERA staff members. Commissioner Bangoura highlighted the expectations of the President of the ECOWAS Commission in line with the importance of the power sector for the regional economy. He then expressed optimism that the new Council Members would contribute meaningfully to ERERA’s achievements, considering that they had been involved in the institution’s activities as experts from their countries. Describing the tasks before them as huge, the Commissioner urged the Council Members to build on the sacrifices of their predecessors and help attract investments to the regional power market through a successful launch of the market, among others. 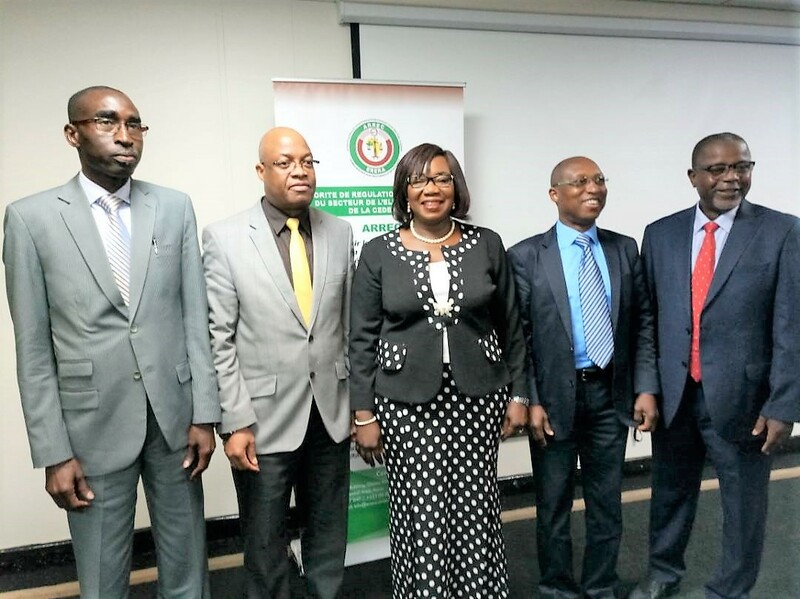 Speaking on the strategic importance of ERERA to the ECOWAS Commission, the Director of Human Resources (Operations) of the ECOWAS Commission noted that ERERA is the only technical arm of ECOWAS with a Regulatory Council. She expressed the hope that ERERA’s success would open the way for the establishment of other regulatory bodies in the different sectors of the economy of West Africa. In their separate responses, Dr. Dikko who is an economist and his engineer counterpart, Mr. Ndiaye, stated that they were aware of the expectations of the West African citizenry, and thus pledged their dedication to ERERA and the ECOWAS Community. More specifically, they pledged to help bring solutions to the many power challenges in the region, primarily ensuring a reliable, efficient and least available cost of electricity that is accessible to all citizens of the Community. Looking forward to working with a balanced team of professionals, both Council Members promised to operate an “open door” policy as well as ensure excellent staff welfare and capacity development.